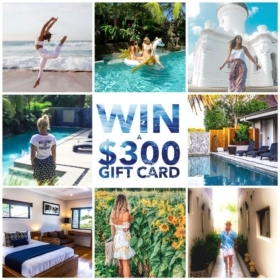 we are EXCITED to give away 4 x $300 gift cards for accommodation with us in beautiful Byron Bay! ……. WIN + WIN + WIN + WIN ……. There will be 4 winners in total! and our WINNERS will be drawn and notified every second week starting from Saturday 30th March! Don’t forget to find us on INSTAGRAM too for more chances to WIN! You’ll find us at ?